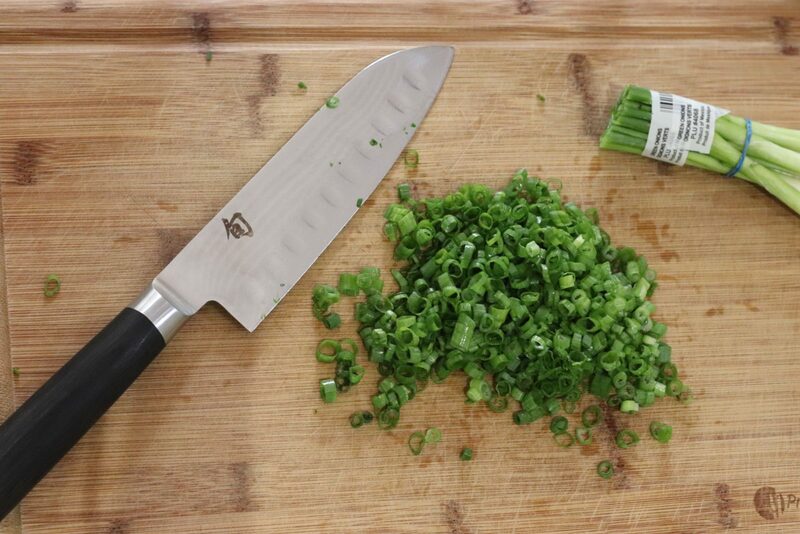 Cut the stem off all of the jalapenos, slice lengthwise, deseed and set aside. 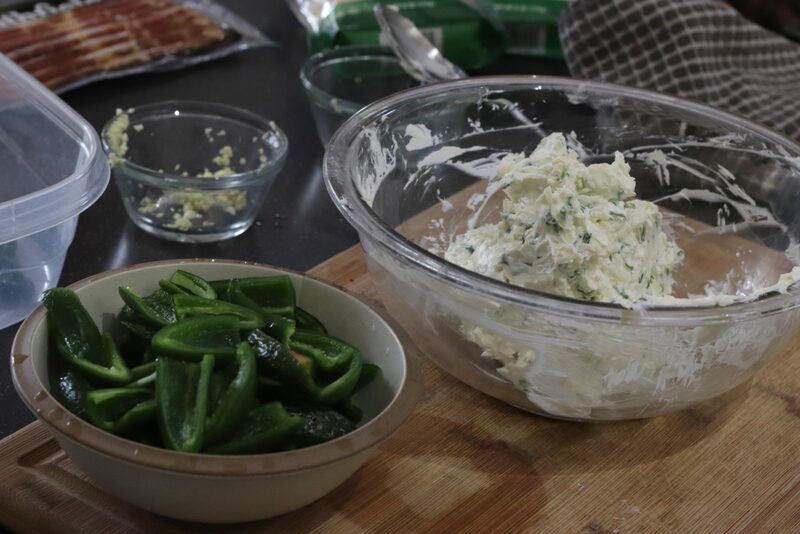 Mix cream cheese, parmesan cheese, mozzarella cheese, chives, and garlic in a mixing bowl. 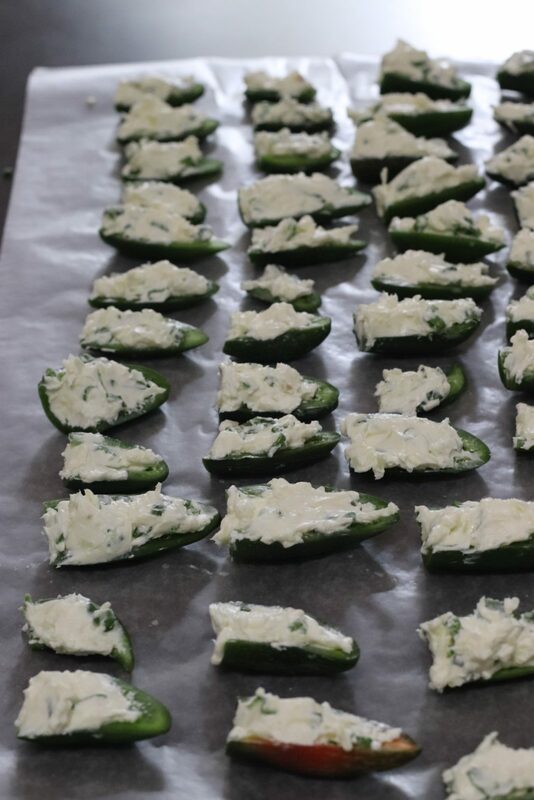 Stuff each jalapeno half with the cream cheese filling. 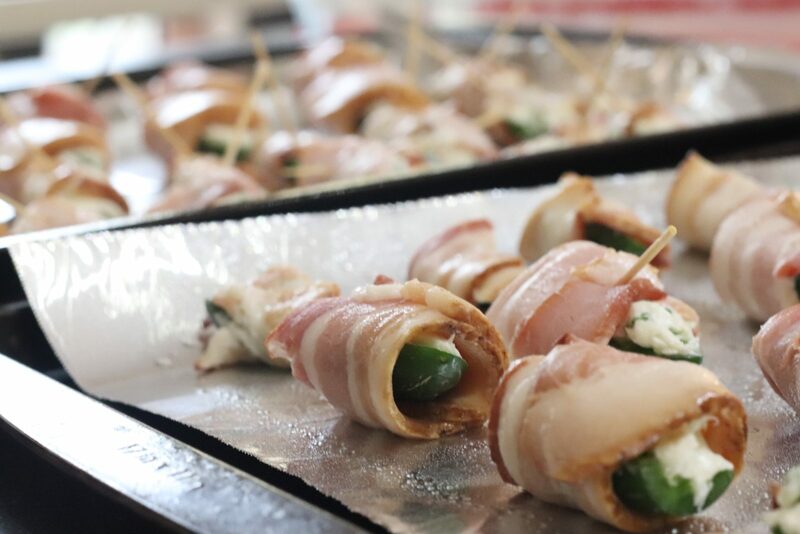 Cut bacon strips in half, use 1/2 strip to wrap around each stuffed jalapeno. You can use toothpicks to secure if needed. 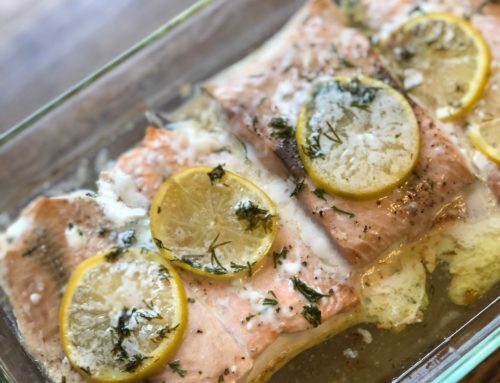 Line a baking sheet with foil and spray with non-stick oil or cooking spray. 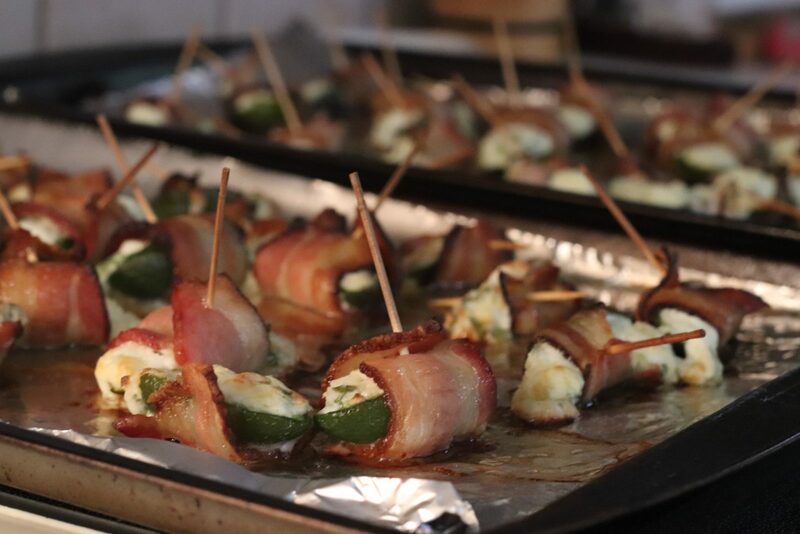 Place stuffed peppers on the baking sheet and cook at 375 for 20 minutes (enough to cook the bacon though). 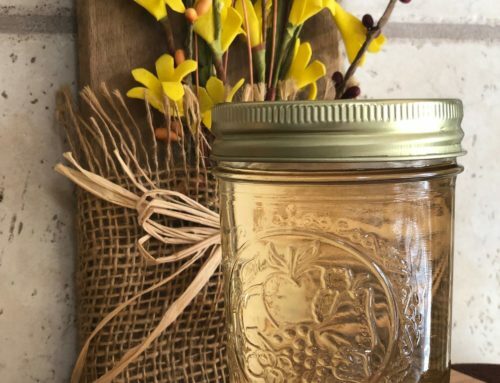 The heat from peppers come from the seeds. 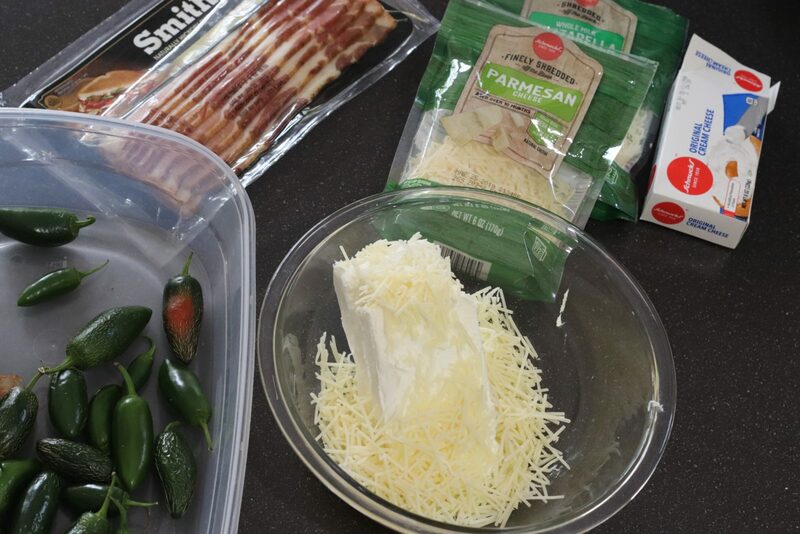 Jalapenos have a reputation for being hot, but when deseeded have a fairly moderate spice to them. 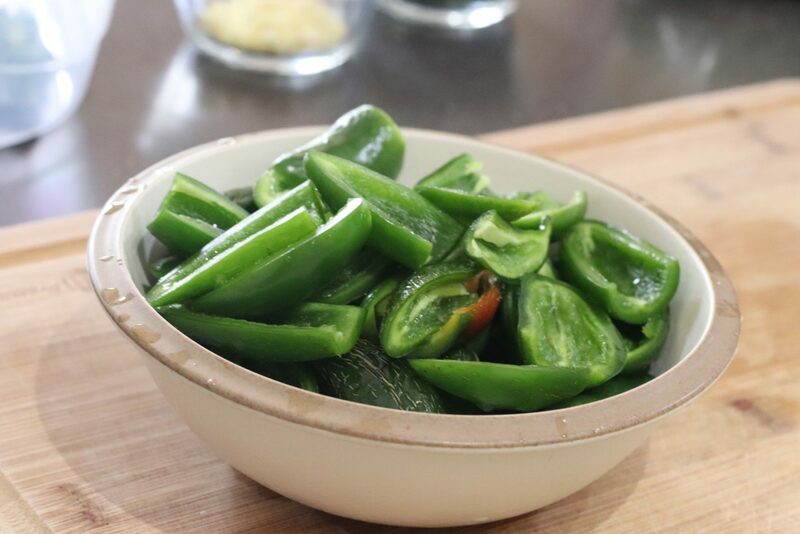 If these are still too hot for your liking, you can follow the same recipe with mini bell peppers.